I was at a tournament recently watching the kids matches. 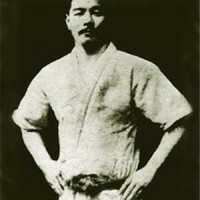 I was astounded at the smooth techniques and movements of many of the young competitors. It struck me how kids seem to be natural grapplers. Their movements were effortless and seemed intuitive compared to the stiffness of many of the adults. I observed 7 and 8 year olds taking the back of their opponents with a fluidity that should have made some of the adult blue belts envious! Jiu-jitsu is a great activity for young people to get involved in. Sure, there are many worthwhile activities for young boys and girls to try: music lessons, other sports in addition to different areas of study. 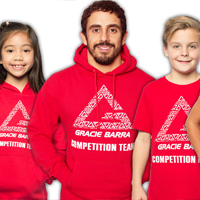 “Many kids have the chance to experience the benefits of Martial Arts early on, however a big number of children abandon their martial arts training when reaching the teen years in order to participate in school sports. Although there are many lessons to be learned from team and individual varsity sports, the ‘make the team’ model often favors the more physically developed players while alienating the late bloomers. Coaches have access to an endless supply of players that renews itself each year, the big and strong get picked and get to play while the less physically developed watch from the bench, this leads to an even greater disparity in skill development as the season goes by. Few activities add to a child’s development like jiu-jitsu classes. There must be some counter balance to the hours spent on computers, tablets and video games in a week. Childhood obesity is dangerously rising and exercise is one of the major factors for healthy young people. 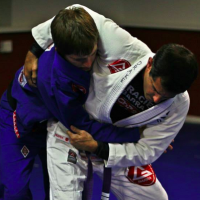 Jiu-jitsu classes have much variety of physical exercise without being repetitive and boring. The classes provide a great outlet for all of that boundless energy that kids have. 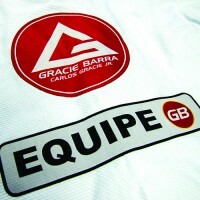 Many of the social skills for life that young people need to learn are taught in the Gracie Barra academy. Respect for the instructor and their fellow classmates. Cooperation with others. Developing self-discipline and ability to work through challenges are all important values cultivated in the academy. Working closely with other children builds interpersonal skills that are not developed by solitary activities. The media reports far too many instances of the emotional damage of school yard bullying on children. It is a disturbing reality for many young people. 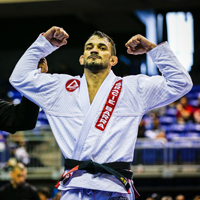 Jiu-jiu-jitsu might be the perfect solution to the bullying problem. 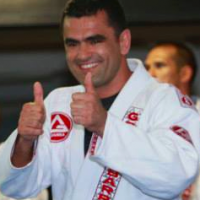 Jiu-jitsu builds confidence, self-esteem and the mental and physical abity to deal with confrontations. Equipping a child with tools to deal with bullying situations is a valuable gift a parent can give. 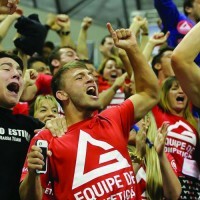 Jiu-jitsu is great for young people!